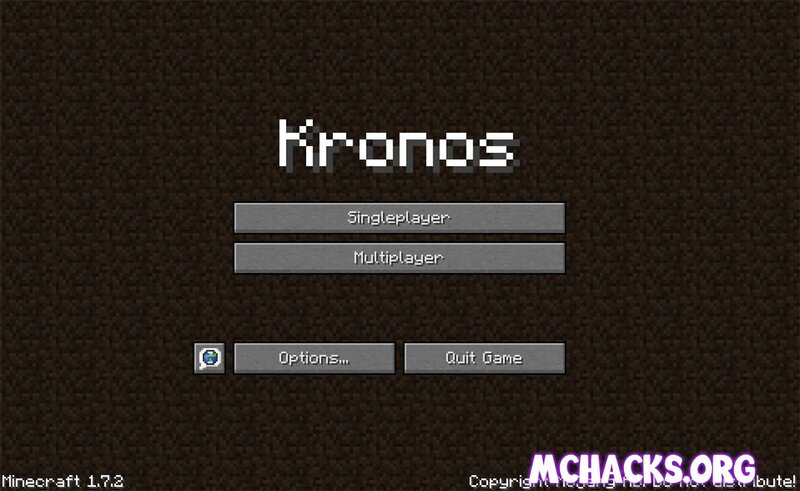 Kronos is a new client for Minecraft. 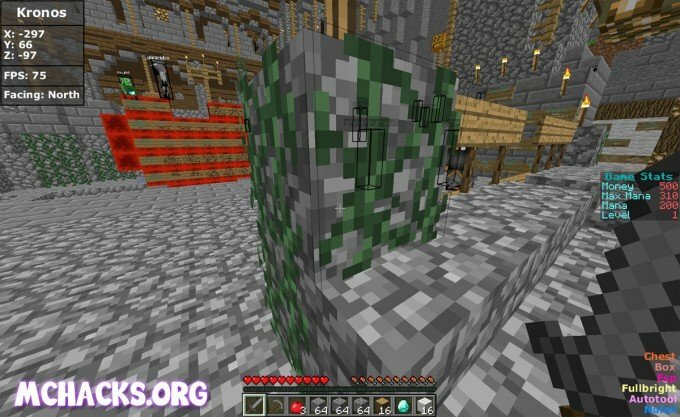 It is packed with features and it works flawless for the new version of Minecraft. We had no problems at all when we tested it. As said, it is packed with features, the most commons are fly, speed, xray, nuker, esp and some useful combat hacks (used in for example Hunger Games) like bow aimbot and auto soup. As always the client works in multiplayer on servers. This hack might get you banned – use at own risk! Just click the right shift to bring up the GUI / menu. Download and extract the zip file. You now have a folder, this folder should contain a jar and json file. 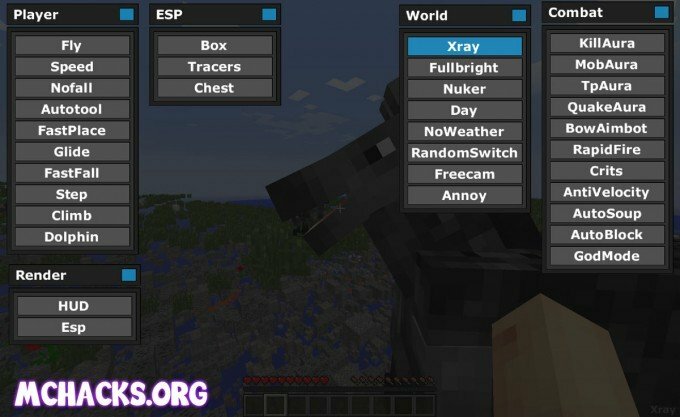 Move the hacked client folder from the downloaded zip file, to your .minecraft/versions folder. Choose a name for your profile. In “Use verison:” choose “release [Client name]”. Choose the newly created profile and enjoy Kronos! You can also check out our install guide.